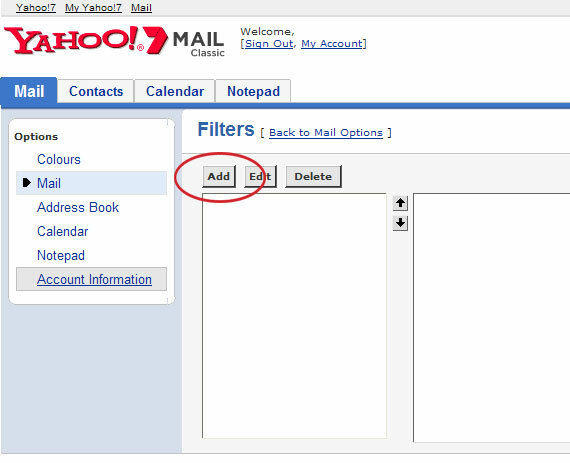 Login to your Yahoo account and go to your email page. 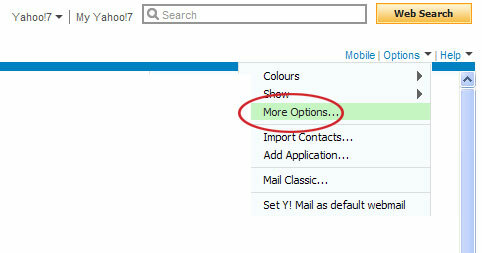 On the next page click on the “Filters” link. 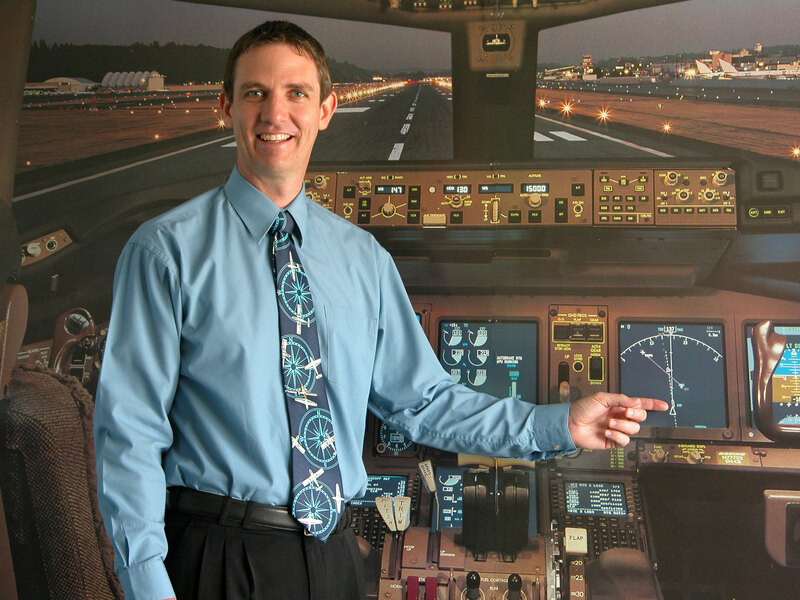 On the next page click on the “Add” button. Type a name for the filter in the first text box. It can be any name you like. 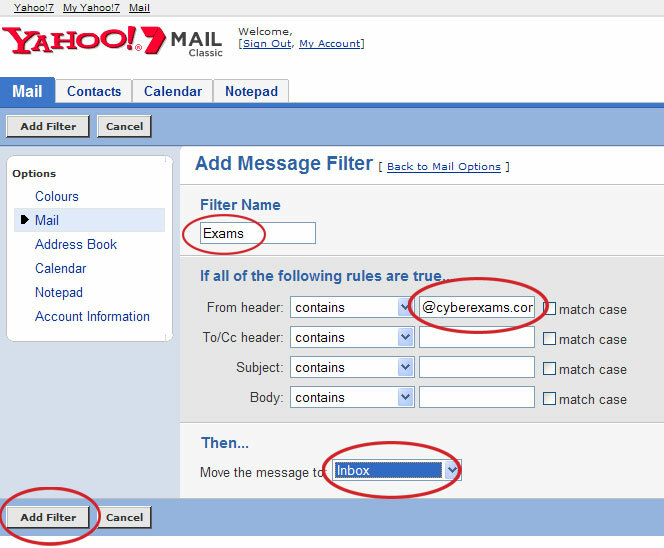 In the “From header” line select “contains” and type @cyberexams.com.au in the text box. 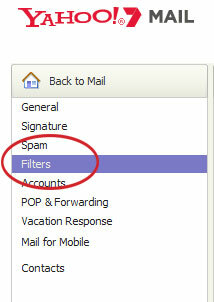 Then select “Inbox” underneath and click the “Add Filter” button. 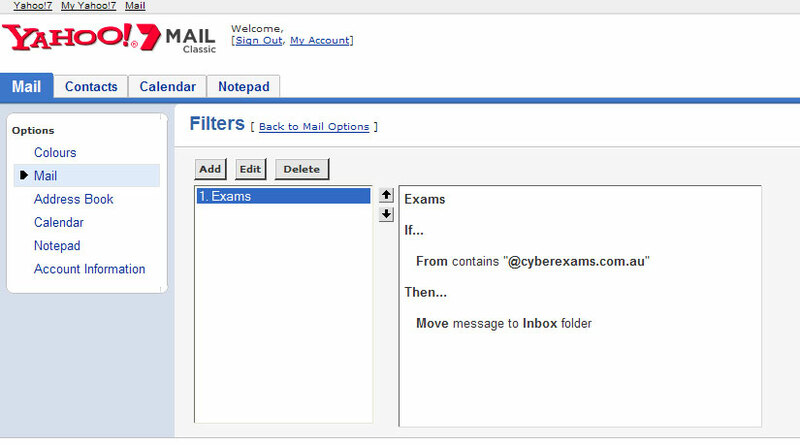 You have now completed the process for adding @cyberexams.com.au to the filter list. It would be a good idea to click the “Add” button again and follow the same steps to include @aft.com.au to the filters.